British-born choreographer Akram Khan is celebrated internationally for the vitality he brings to cross-cultural, cross-disciplinary expression. His dance language is rooted in his classical Kathak and modern dance training, which continually evolves to communicate ideas that are intelligent, courageous and new. 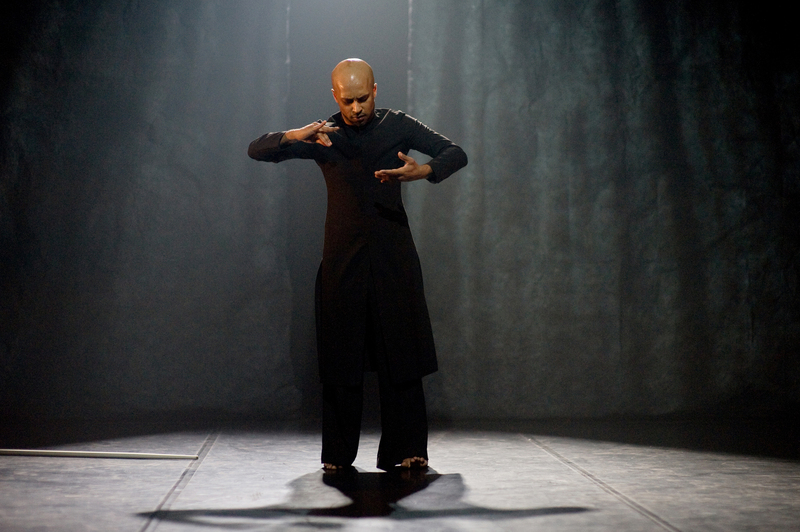 Khan performs his own solos and collaborative works with other artists, and presents ensemble works through Akram Khan Company. cB: I was excited to find out that you are working on a piece scheduled for the 40th anniversary of Bangladesh’s Independence. Growing up in the UK, how do you relate to Bangladesh’s Liberation Movement – what were some of the stories of the movement that you grew up listening to? How has your Bangladeshi identity evolved over the years and how have you woven this identity into your new piece, if at all? AK: The ‘Bangladesh’s Liberation Movement’ happened during a period when I was still very young, so I was not aware of the struggle and the sense of patriotism that was deeply rooted in our house, in London. However, my mother did organize performances within the Bangladeshi community events, in which I performed regularly. Actually, I spent most of my childhood dancing short choreographies that portrayed the Harvest dance, the fisherman’s lives, I even danced pieces that reflected patriotic songs, that focused on memories of the language movement that had taken place on 21st February, 1952. At the time, I did not understand much about the reason, I just enjoyed being on stage, and moving to music. It is only until recently, that I have started to focus on the events and historical moments, that took place during the transition of the independence of Bangladesh, and thereafter. In terms of my identity, well, it is constantly shifting still today. However, I do not feel a deep sense of responsibility to help preserve Bangladeshi culture, or any other culture for that matter, because I wouldn’t know what defined a particular ‘culture’ anymore. I mean, most cultures have been contaminated in some way or another, and I am a ‘byproduct’ of that contaminated culture. So, I would not dare to preserve something that I was never directly part of, even if it is where my roots lie. Don’t get me wrong, my roots are an important part of my history, but my history is not what defines me, it is the present that defines my journey! My history only reminds me of what came before me, even if it is a large part of me. And only now, with the creation of the new piece called ‘DESH’, I am slowly learning about my parents’ culture. But I am only taking a few characters and events that are related to Bangladesh, because in all honesty, there is so much history in such a short time, and such incredible stories, that I will not be able to refer to all. And so for the time being, I am focusing, to a small degree, on the Nur Hossain story, and then on one particular fisherman’s story (well, it is a fictional story), and several other characters that are from Bangladesh but now live in the U.K.
cB: Your parents are very supportive of your work and it was your mother who enrolled you in dance classes as a child. We all know that the Bangladeshi community is not particularly fond of unconventional career choices. More often than not it is a constant uphill battle for the artist or, any creative person, to try to make our community understand and accept our work. On the flipside, these are the struggles that make us grow as a person and as an artist. Have you experienced these frustrations and, if so, to what extent have they affected and shaped your perspective as an artist? Do you feel that in some ways they may have even made you a better dancer/choreographer? AK: I would agree that, by the community not accepting my dance and music as a serious career choice, it pushed me to then fight for what I believed in. Sometimes, when somebody fights for something, there evolves an inner belief in what they are fighting for, that then propels them to be better than what they might have been without that conviction. So, it worked out to my advantage, but I am also at a point now that the only person I have to prove something to, is myself. But reflecting back, I must say that there are some people that are ‘dreamers’, and then there are others that are ‘believers’. And I feel that without the believers believing in the dreams of the dreamers, there would be no dream that would come into fruition. So here, I have to thank my parents for being absolute believers, not only in me but also in the arts, particularly my mother. She believed that art transcends and also erodes all borders – borders within religion, within cultures, within education, and more importantly, within oneself. However, if I did not have my parents’ blessings, I would not have made it this far. They were and are still crucial to my growth. cB: What advice would you give to a young Bangladeshi who wants to pursue an unconventional life? I suppose my ‘no comment’, is a comment towards the way I feel about the uncertainties of choosing the path towards the unconventional life. I am not sure what advice I can give, simply because we are all so different, hence, we respond to different challenges differently. It all depends on what those challenges are, and how that person reacts to those challenges. The question is.. ‘How badly do you want it?’ For me, I did not simply want to dance; I ‘had’ to dance! Without it, I would disappear into a statistical number. If anything, dance became my identity. cB: You are known for exploring cross-cultural themes in your choreography – from being influenced by Japanese philosophy and aesthetics to working with the National Ballet of China. Have you considered incorporating Jatra or other traditional dance forms from Bangladesh? It is sad to see the demise of Jatra, which in its current form is so grossly corrupted. Any suggestions on how to start a Jatra performing troupe and take it on an international tour? AK: I have no idea about how to take ‘Jatra’ further than where it is, since it is not something I embodied as a child, and unfortunately, I know so little about it. To be frank, I become interested in a particular art form, when I recognize something within it, that reflects some part of me, and so a relationship takes place between my body and the art form, and I then move forwards towards learning and researching it. However, I hope I have an opportunity in the future to find that relationship between Jatra and myself. cB: I was reading about your collaboration with Sidi Larbi Cherkaoui on ‘Zero Degrees’. In one of Sidi’s interviews, he mentioned that you both drew from your experiences of being raised in Muslim families. Meanwhile your piece ‘Vertical Road’ addresses faith and life after death. What is your audience’s reaction when you bring a spiritual theme to your choreography? In your opinion, how do Muslim artists in the West deal with spirituality and Allah in their work? Is there a major tension or, do they draw positive inspiration from their beliefs? AK: Most often, we are received well by Muslim audiences, but I would have been able to elaborate in more detail if you asked me after June 2011, since ‘Vertical Road’ will be touring to places like Lebanon, Cairo, and Ramallah in April/May this year. Also, I was not so keen with this project to turn it into something too readable for the audience, because in the end, I feel you cannot ‘see’ spirituality, I would like to think that you can only ‘feel’ it. So the same goes with this piece! Its what the audience feel from the images and movements that they witness, rather than the dots that they try to connect to, in order to make it more comprehensible for them to read. Dance is predominantly about feeling something, from what they see, and not reading something from what they see! And so spirituality seemed like an obvious subject. cB: Are there any plans to bring the piece with the Bangla text to New York? I would love to see it and am also curious to know what text you are using. AK: There are some plans that are being discussed that ‘DESH’ will be presented in New Jersey in 2012, which is so close to New York. But its still provisional, and depending on certain dates being available. However, I am extremely excited to embark on this project, even if I don’t know the end destination yet! I suppose the piece feels a little like returning to some place that I may dare to call ‘home’. But in saying that, what is home? I always say ‘home’ is a place where you find yourself, even if you find yourself in a foreign land, but then again, sometimes I feel ‘home’ is a place where you have to escape in order to find yourself. So go figure! I don’t have a definite answer, except the fact that I don’t have a definite answer! Thank you Akram for taking the time to talk to creativeBangladesh! 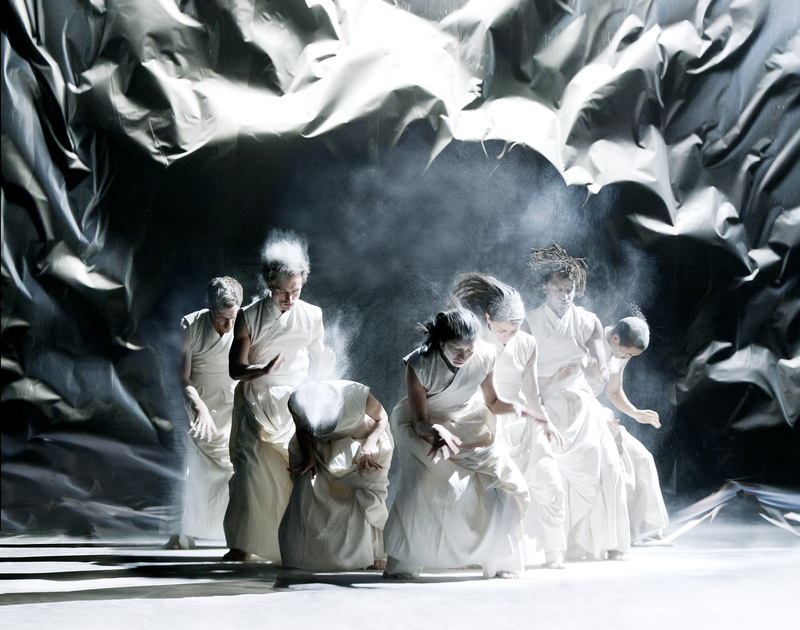 For more information on the Akram Khan Company, please visit their website here. 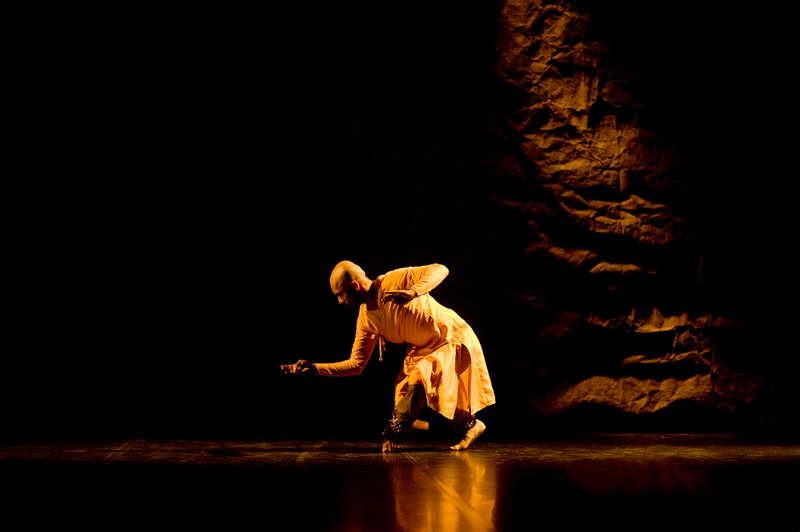 1st photo of Akram Khan is by Laurent Ziegler. All other credits accompany individual images.